When it comes to creating a Bench Memorial there are many different styles. There are Upright Monuments that have a Bench extending from one or both sides of them. There are also Benches that are made to hold Angels or even Crosses on them. Bench memorials can also be free standing ( Even with this there are so many different shapes and styles ). 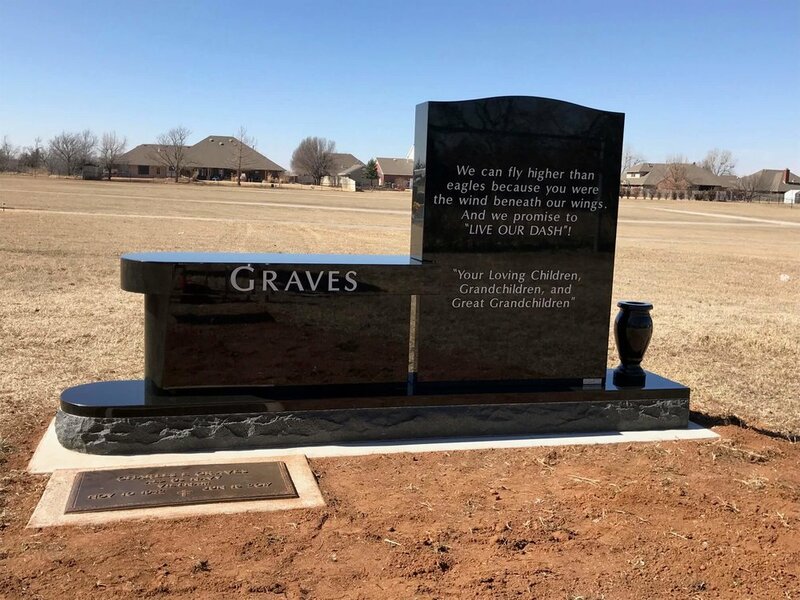 You can put something as simple as the family name on the bench, or use the Bench Memorial in place of a Monument and have names, dates, pictures, and inscription on it. The style of Bench is all dependent on the Cemetery restrictions, but do not worry, we are familiar with all the cemeteries and know the restrictions. If you were interested in creating a Bench Memorial, you can always give us a call to find out if it is a possibility.